Food has cultural significance. People often bond over a shared meal. Bringing food to someone who is sick, grieving, or has a new baby is show of compassion. The promise of refreshments can usually bring even the most resistant teenager or young college student out to an event. My personal opinion is that we lean more toward the overdoing it end of incorporating food into functions and gatherings, but that might be my severe food allergies talking. I'm working on making peace with it. What really frustrates me, and what I struggle to accept, is just how often unnecessary treats make their way into kids' activities and classrooms. There's donuts after soccer games, which baffles me, really. Isn't the point of signing a child up for sports so that they are active and socialize with their peers? If that's the purpose, then why the need to finish it off with spiked blood sugar levels, just because? And, honestly, four-year-olds don't exactly play hard enough to work up an appetite that can't wait until lunch after a short drive home from the park. Candy is given out in classrooms regularly. I understand occasional treats, but repeatedly earning it as a reward is neither healthy or productive. Snack time at church eludes me. I'd venture to guess most families eat either breakfast or lunch before going to church, and eat again shortly after returning home three hours later; not to mention all the snacks parents bring for the first meeting (um, I regularly pack grilled cheese sandwiches and I know I'm not the only one). Why, then, is it necessary to take a break after an hour of class to eat? I believe that the food we eat plays a huge role in our overall health and well-being. I make every effort to feed my family nutritious food, and to leave out that which is known to be harmful. I stay away from artificial coloring and preservatives, GMOs, and work really hard to limit soy and added sugar because, frankly, the effects of these things scare me and I'm not willing to risk my children's health. It was a lot easier to manage when they were younger and always with me. Now that they're getting older, it's a little more difficult, but no less important to ensure that they aren't eating processed junk, filled with sugar and artificial coloring every time they leave the house. There have been times my oldest has needed to stop eating wheat. Currently, my two-year-old is showing signs of a developing dairy allergy. Food allergies and sensitivities add another very serious layer to the complexity of navigating snacks and treats at school and activities. It can feel almost futile at times, but it is possible. I've compiled some ideas and tips and have worked well for us over the years. This isn't a post to tell you that you shouldn't be eating or feeding your kids certain things; it's simply meant as an added resource to help you through what might be uncharted territory. 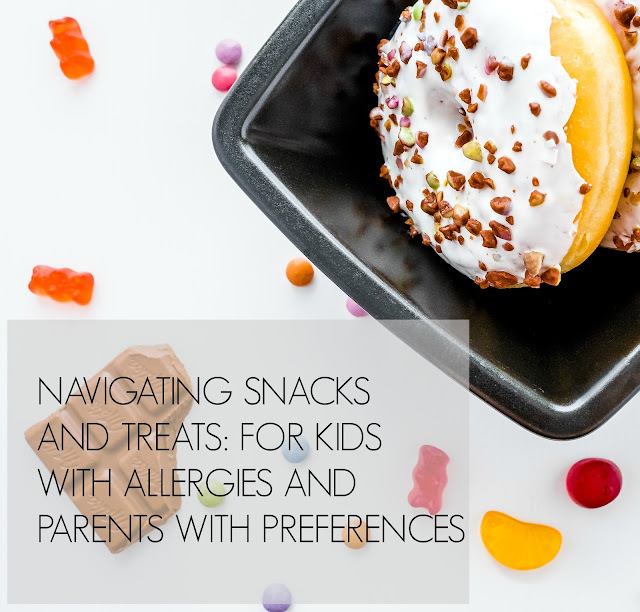 Whether your child has an allergy or sensitivity, or you are committed to your preferences you've established for your family, I hope you find something here that's helpful. If you don't want your child to be given artificial coloring, say so. Schools have many forms to fill out and thus, multiple places to state there is something you don't want your child to eat, or that they can't eat. Mention it to the teacher in addition to putting it in writing. If it's a church or dance class, or another activity that they attend regularly, there might not be paperwork to fill out. Have the conversation. 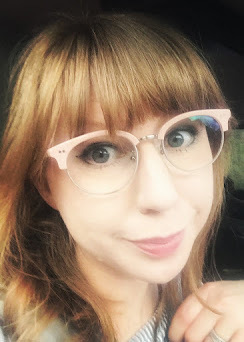 Simply, and firmly, state, "She is allergic to __ and should not be given anything containing __," or, "I do not feed him artificial coloring/sugar/high fructose corn syrup and would appreciate your help in ensuring he doesn't get it here. I am happy to send alternative snacks." Because, you know, you said you'd be happy to. I've been sending my kids with their own snacks for a long time. They don't seem to care that they aren't eating exactly the same thing as other kids, especially when I send something they love. Many schools send a menu in advance, listing what will be served that day. If it's not something they can have, I try to send as close of a version as what's being served as possible, both so that their food fits in and so they don't cause a disturbance having something incredibly different. I've never had a teacher bothered by this. I offer to provide snacks for all of the children in the nursery at church, especially now that my youngest absolutely cannot have dairy. Even if I'm not providing snacks for everyone, I make sure that my kids have their own set, clearly marked, that is kept there. My kindergartner earns stickers in class that she can redeem for suckers or pencils. Given her sweet tooth, she will choose the sucker every time. She came home with a regular tootsie pop twice. After the second time, I sent a note to her teacher reminding her of the importance of not giving her artificial coloring. As it turns out, she realized what she'd done after and attempted to stop my daughter after school to choose something else. She now has a separate tub for my daughter to choose from, filled with a stash of dye-free lollipops I sent in. Whole Foods is an excellent resource for allergen-friendly foods, and they don't stock anything with artificial coloring. Natural Candy Store online is another place to find alternative options. Sometimes kids are offered treats at an event they don't regularly go to. Sometimes my kids eat these and, if they aren't allergic, it isn't a huge deal. I don't ban foods. They do know that if they're offered something that I wouldn't normally give them, they have the option to politely decline and I will make them a special dessert at home. As for things like Easter egg hunts and trick-or-treating, they usually eat some of their haul and turn the rest in for a small toy or special treat. Candy doesn't need to be the standard for fun. Whenever you have the opportunity, implement non-food treats. Fill easter eggs with stickers, temporary tattoos, erasers, or small toys. You can send the same for Valentine treats at school. As for class birthday treats, we recently sent pencils and unicorn erasers for about the same cost as if we'd sent donuts or cupcakes. Given that most schools have bans on homemade treats, you're going to the store anyway. Not everyone will follow suit, but many might. All of this is really lost if you don't teach your children the reasoning behind it. Learning about nutrition is important; it affects every single day of their life, and the younger they learn about it, the better. Empower them to care for their bodies and the food they put into it. I don't believe in labeling food "good" or "bad," but I do believe in explaining to them the benefits of nutritious food, as well as what sugar and other chemicals can do. Casual conversation is all it really takes. My oldest will choose a chocolate chip cookie over anything else, almost all of the time, but if she suspects something has artificial coloring, she will ask and explain why she chooses to not eat it. I also feel it is important to teach children to be gracious, and in doing so, that might mean accepting cookies from a friend that might have more sugar than you would add, or eating a homemade meal that someone generously prepared (unless the threat of anaphylaxis looms, obviously). There is balance to be found, but your commitment to your child's health doesn't need to be compromised on a regular basis just because it's what's typically done. Going against the norm can be daunting. You might feel obnoxious. It can be done and it gets easier. And hey, for every horrible comment made about kids with allergies needing to be kept out of public school, there's at least a dozen teachers and coaches who are genuinely happy and willing to accommodate your requests.